Conventional office chairs are usually one of the main reasons why office workers suffer from a bad back. A chair without a movable back, or adjustable arm rest makes it difficult for the employee to feel comfortable while doing his daily tasks. Likewise, this can also be bad for your health because the spine would be forced to stay in one position for several hours. Although you might not notice the effects for now, it would definitely lead to serious back problems later on. Fortunately, there’s a quick fix for this– you can consider putting a cushion on your chair, or if it’s within your budget, just get a new one; something would spinal support. This is the type of chair often used by doctors and dentists. Although the saddle tool is pretty great because of its backless design that encourages activation, it can be quite challenging to balance on this chair. For men, it’s not highly recommended to use this type of chair for longer periods of time, as it puts pressure on the perineum. What could be worse than a chair without a lower back support? 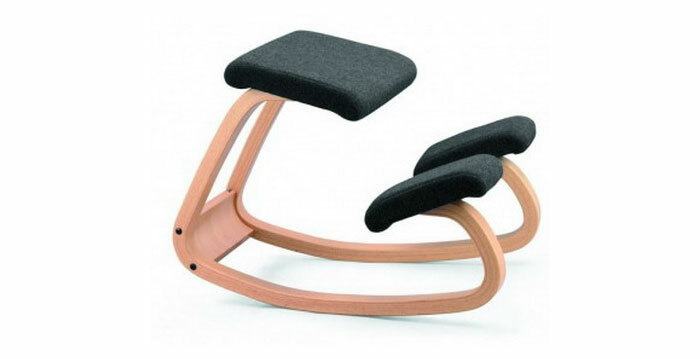 This type of chair would definitely put unnecessary strain not only on your legs, but pelvis and spine as well. Believe it or not, even though it might not seem like a big deal, the absence of a lower back support could contribute to body pain, and it could even cause mental stress. Just think about how difficult it is to concentrate while you’re in pain.